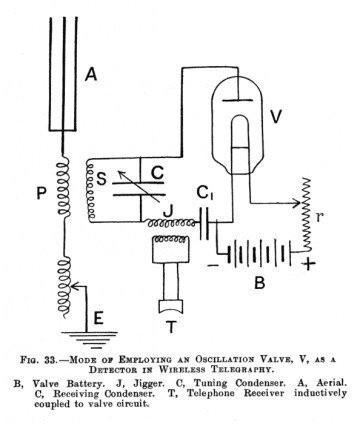 Description Etched with: Royal Ediswan, below "Fleming Oscillation Valve", below 4 Volts. The Fleming valves were made by the Edison and Swan United Electric Light Co. and marketed by Marconi Wireless telegraph Co. Ltd. Ref. Catalogue Marconi Wireless Telegraph Co, about 1910. The catalogue number is 134R. Usage in Models 1= 1913? ?